The school nurses in Battle Ground Public Schools hope it’s a skill they never have to use: knowing how to stop life threatening bleeding before it’s too late. 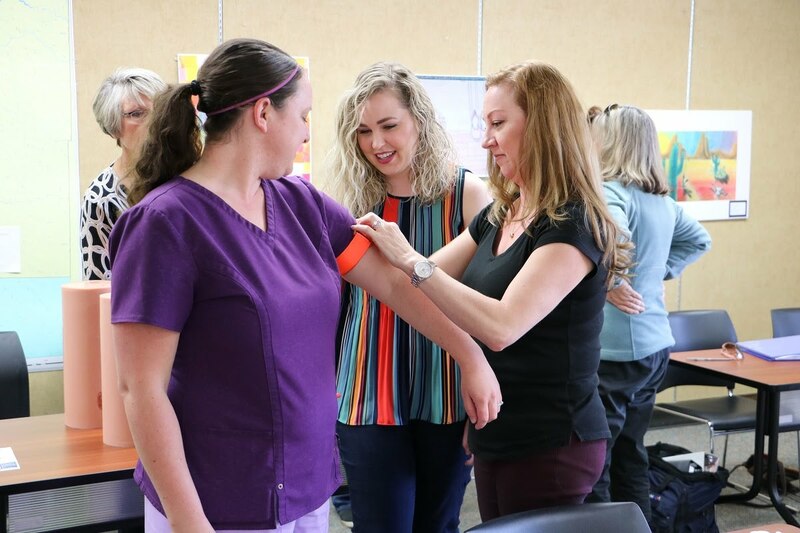 Thanks to a free training provided by Oregon Health & Science University (OHSU), all of the district’s school nurses are certified to “Stop the Bleed” in emergency situations. Life threatening accidents can happen remarkably quickly and in unexpected ways. For example, just this March, a nine-year-old student in Georgia was simply playing at recess when she fell and broke her arm so severely that an artery was severed. 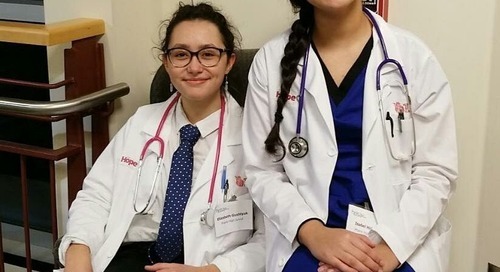 Thankfully, the school’s nurse had just completed the Stop the Bleed training program and was able to spring into action, quite possibly saving the young girl’s life. Uncontrolled bleeding is the number one cause of preventable death from trauma. Battle Ground is the first district in Southwest Washington to receive training for such emergencies. At the Stop the Bleed training, Battle Ground's nurses learned to use tourniquets and other items from specialized bleeding control kits. Soon, such kits will be placed next to every Automated External Defibrillator (AED) machine in the district. An AED is a lightweight, portable device that delivers an electric shock that can potentially stop an irregular heartbeat and allow a normal rhythm to resume following sudden cardiac arrest. One of BGPS’ AEDs has already been used to save a person’s life. Now that the district’s nurses have completed the Stop the Bleed training, they are qualified and have registered as trainers for the program. Soon, the BGPS nurses will be hosting training sessions to teach district staff, and eventually, even middle and high school students, the life-saving techniques. 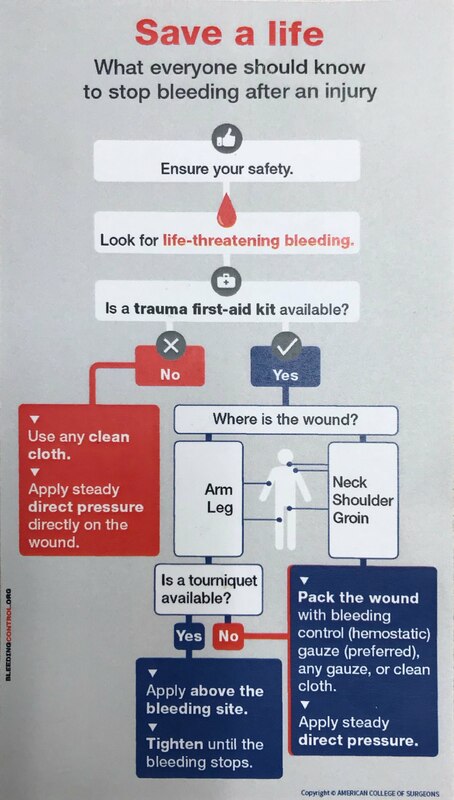 The ‘Stop the Bleed’ campaign was initiated by the National Security Council Staff to better prepare the public to save lives by raising awareness of basic actions to stop life threatening bleeding. Advances made by military medicine and research in hemorrhage control during the wars in Afghanistan and Iraq informed the work of this initiative. Research has shown that even bystanders who have very little or no medical training can save lives. Similar to the use of CPR or automatic defibrillators, improving public awareness of how to stop severe bleeding and expanding personal and public access to bleeding control kits can be the difference between life and death for an injured person. Visit https://www.bleedingcontrol.org/ for more information.